Our amber jewellery is manufactured in Gdansk (Poland), where amber has been found and processed by experienced amber grinders and silver-smiths for centuries. That means, that buying at our store You are directly at the source. 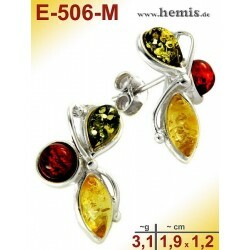 You buy without any middlemen thank to that we provide You with low-price but high-quality amber jewellery. 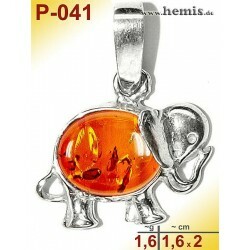 Amber is traditionally set in silver, however, we are able to offer you amber set in gilded silver. 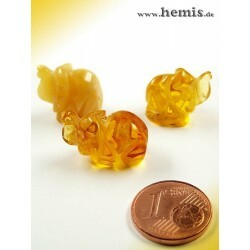 We also guarantee you that we sell only authentic (natural) amber. 1. Huge selection: "Everything your heart desires." 2. Fair Prices: Production of Gdansk (Poland). 3. Many years of experience (since 1991). Shipping to Germany usually within 24 - 48 hours! 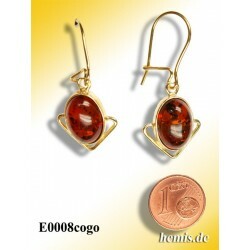 If your order costs more than 50 euros, we cover the shipping costs to Germany. If your order costs more than 90 euros, we cover the shipping costs to Europe. If your order costs more than 150 euros, we cover the shipping costs worldwide. Made ofï¿½ hypoallergenic (Nickel free) 925 Sterling silver. Amber in over 400 colours: from white through green, maroon, cognac to black. Amber Jewelry can be worn in all seasons. Whether the spring, summer, autumn or winter and he fits the respective colors. Of course, wearing a lady also like ambers to their evening wear. Can, depending on the color of clothing and clothing to choose between amber beads, balls, or combined with Amber Silver 925 as amber silver jewelry or silver instead of gold plated silver jewelry. ) 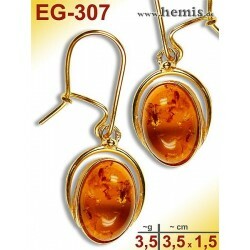 Only one amber jewelry manufacturer (manufacturer can offer such a variety of precious jewels because he also amber jewelry wholesale supplies. At all times, amber has had a fascinating effect on people. First, because it sticks a million years of history and partly because there is hardly a mineral gem, which has such a variety of colors and appearances, from clear to opalescent. For many centuries he was regarded as the "sun stone" because of its color and flammability before they knew one day it is to become one stone resin of a pine (Pinus succinifera) or Zedernart (Cedrus atlantica). Large savanna in contemporary Scandinavia, formerly called Praenoskandien were torn down by the water masses. The rotten trees and the resin was petrified by the constant repositioning in the sea to well over a thousand kilometers in many millions of years by the great water pressure. In past centuries, objects made of amber were among precious guest gifts of kings and princes. He has remained a favorite jewelry stone. The use of amber for jewelry dates back to prehistoric times. Ten thousand years ago it was already mentioned, other precious stones only been seven thousand years. Tacitus wrote about it in the country give the Germans beautiful stones. Amber different geological ages are known, comes from Lebanon, the oldest, from the Dominican Republic, the most beautiful, but is less suitable for the manufacture of jewelry and amber from the Baltic to the most beautiful and famous. Here are the bricks for the famous Amber Room was found. The poet Ovid (43 BC - 17 AD) writes in his epic "Metamorphoses": Already 6oo BC the ancient Greeks acquired the so-called " Heliades tears. According to the presentation in Greek mythology, dominated Phaeton, the son of the sun god Helios, the sun guiding the four-horse chariot poorly. He had almost caused the downfall of the world and the universe. He rode into the sea. When his sisters were mourning his death, turned their tears into amber. 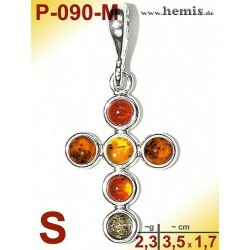 Amber from the Baltic countries (Germany on the Baltic and Pomerania, Poland in Pomerania and Danzig (Gdansk) in West Prussia and Lithuania and Russia in East Prussia and the Curonian Spit in Konigsberg (Kaliningrad) Palmnicken) are about forty to one hundred and twenty million years old. Stones that are less than one million years old, are called subfossil stones or copal. These usually occur in Africa and the Dominican Republic. Name. Types, shapes, colors, inclusions. 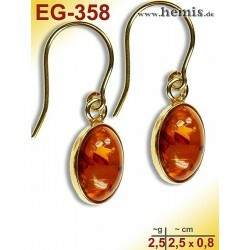 The word "Amber" comes from the Greek language and means "Borne", "Berner burn". He was called therefore "burning stone." The Romans gave it the name "electrum". Therefore, the word "electricity comes." The amber load on friction electrostatically positive. Another name is "succinite", which even the Romans used in Latin: "sucinum called" the tree resin. The name of the pine-cedar-type "means" pinus succinifera. "The Germans also called amber" glaesum. Is why the word "glass". Bernstein in English means "amber", in French "ambre", in Italian: amber. In all fossil resins can be divided into two basic types: sea or Earth amber. sea amber maritime or amber. It is found in water and the sand of the coastal region. Usually he has no weathering rind or bark, as this has been eroded in the course of millions of years in the sea. The sea amber has a natural polish. It also calls him "bright amber. It can be covered "with so-called" barnacles. Its specific gravity is slightly lower than that of the country Bernstein. This amber has a rough, often leaky and cracked weathering crust. It stores in gravel, sand, clay, or in the so-called "blue earth". He was transported during the ice age by melting glaciers and up to ten miles inland. In earlier centuries, when it was most amber found on the beach in the morning, when the Baltic Sea was restless at night, and the amber stones have been washed, the machining was still ï¿½primitive. Usually only the finest pieces were collected that could be worn in some cases even without treatment as an amulet. A natural hole, once a tree branch sticking through the facilitated the swipe of a rough leather strip. Other, non-fragmented amber were processed with filing and then sanded with fine sand between the leather hides. The fine polishing of the amber was in the same way with chalk mud, with which they used to be the teeth. The polished stones was pierced with fine masonry and strung as necklaces or rosaries. The makers of rosaries were called "Paternoster-maker". Leaked workshops of the Teutonic Knights were in Lï¿½beck, and Bremen. 100g - 200g, each 100g more. Granules and splitter - sizes in the form of peas and hazelnuts or walnuts. Both sizes are also very rare. Critical to the assessment of amber, these two properties. Fragmented and splintered bricks and cracks in the stone to reduce the quality. 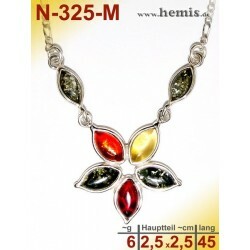 Is formed during cutting and grinding on the use of jewelry a lot of waste. A fragmentation and a. caused by the fact that several resin has flowed the other. Undamaged, for example in the form of amber drops balls. Tubers, sometimes with a natural hole, which once loomed by a small branch, are particularly valuable. They are also "not self created characters or characters created by human hands" mentioned. 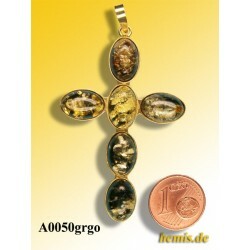 As described elsewhere, are described as being especially valuable inclusions in amber. Thus, there are earth, air, water, plant and animal inclusions. As a special gem drops of water are considered movable. The normal color of the cognac is amber, beige and brown, or colors which . Rarely are white, red, blue, green and black amber. Other features include: appearance of the cortex. It is sometimes so beautiful that it is polished and processed for jewelry. Bark and Bernstein sometimes symbolize animals, heads and other figures. The operations of the raw amber the finished product. The Raw amber are sorted according to size, as explained above in the wet state. Clear amber stones are screened, so that the " Inclusions stones " immediately separated. Depending on the intended use (beads for necklaces or large pieces of brooches, pendants) are sawn or cut the stones .. Larger pieces are handled with a "diamond". 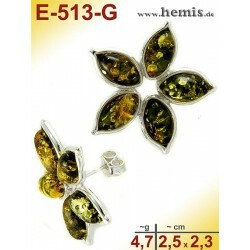 It is removed mainly the weathering crust of amber, because this is only in the rarest of cases suitable for jewelry.
) In a so-called "Autoklaff" (stove, the amber at 180 - 200 degrees and 60 psi pressure cleared, then remove all floaters. Formed by heating in amber, depending on burn time and the typical cognac color and the so-called. "Sun guns. These are small cracks in the interior of the stone. Many ambers have the "sun guns included" already, of course. These are probably caused by the heat of nature. After the stones are glued to a brass pin and ground down in a vending machine. It usually takes place a further sorting process on the suitability to the stones for necklaces, brooches, etc., to be able to edit trailers separated further. The next process is the grinding of the stones. This takes place at irregular stones by hand, not to create too much waste. Also ambers, which are suitable for balls that are usually cut by hand. For their own spheres, however, only about 20% of all stones. Amber stones are cut in larger companies with industrial production to a grinding drum with oak chips, are coated with grinding or polishing paste, and polished. One then speaks of so-called "stone drum". For chains, the polished amber stones are drilled. In order to achieve a certain shape, some are turned amber, a process known to be also in the wood. (7) polishing and faceting appropriate. The "fine tuning" get the amber from the polishing process. A special touch is replaced by the amber "faceting" (diamond surface), what is normally known of polished diamonds to diamonds. Small stones such as rings, earrings, etc., are handled in a routierenden drum with the addition of small pieces of wood with sanding or polishing paste. (8) by threading chain fitting polished stones or stones in prefabricated versions. Most chains have a knot between each of amber, which also prevents the breaking of the chain when the stones fall out. 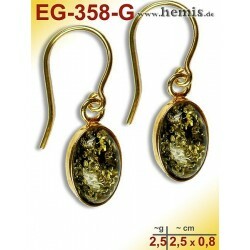 For the safety of the stones in earrings, rings, brooches or trailers to be taken not only solid, but also glued. 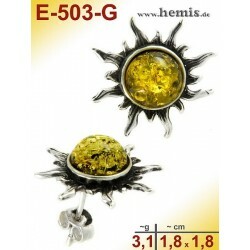 The total production time from raw to finished jewelry amber stone, is approximately eight days. 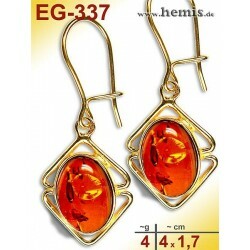 From 4.5 kilograms natural amber can produce about 1.0 kilograms jewelry. ZT is the utilization rate only 20%. (9) A tip for the layman to yourself! Amber in its finest form. Works of art from five centuries. 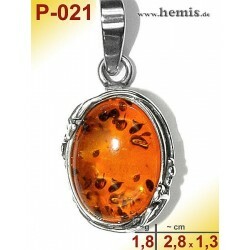 Amber stone jewelry, there are more than 10,000 years, especially the Baltic amber. Our company was established in 1991 as a manufacturer company (producer) in Danzig (Gdansk, Poland, East Prussia and West Prussia), and sales and sales and exports in Nuremberg / Franconia (Bavaria). As a producer, we only handle natural amber - Amber grown as nature in our production centers. Bernstein, 925/nickelfrei silver and gold are the main materials which we in our workshops or process in our grinding them into jewelry. modern or exclusively with natural amber, which is known by locals as well really amber ..
Silver rings and gold rings and gold rings, and amber rings and combined silver-amber rings, also known as Mr. rings. 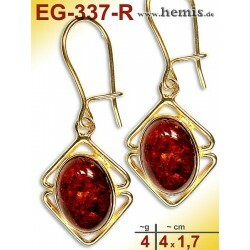 Plugs, individually and in pairs, long and short earrings, earrings with natural amber, Ohrkreolen round and square, and earrings hanging or ohrnah both small and large clips. 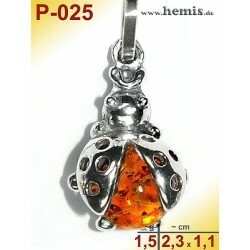 Or taken as drops in silver not gold, amber pendant in many colors, and other stone pendant and silver pendant. Amber necklace in the form of ball chains, Baroque strings olive chains with small and large faceted amber ranges for adult and baby teeth of children for otherwise, we also offer silver necklaces in all lengths. 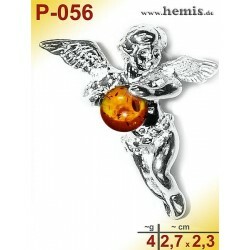 We are also manufacturers of: Carvings, amber carvings, art figures. Inklusensteine with plants or insects, earth and / or water Fossils.